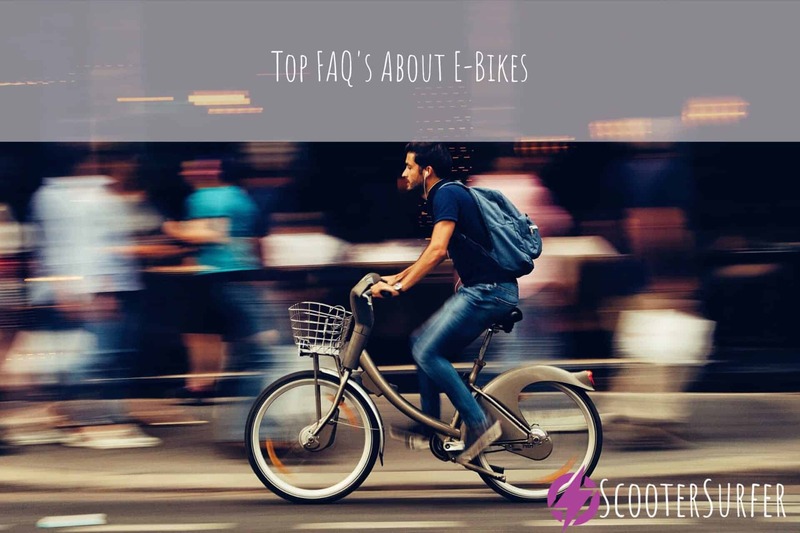 Many people who are first hearing about electric bicycles, or as they are commonly called, e-bikes, might mistake them for scooters or electric motorcycles – however, they are two different things. 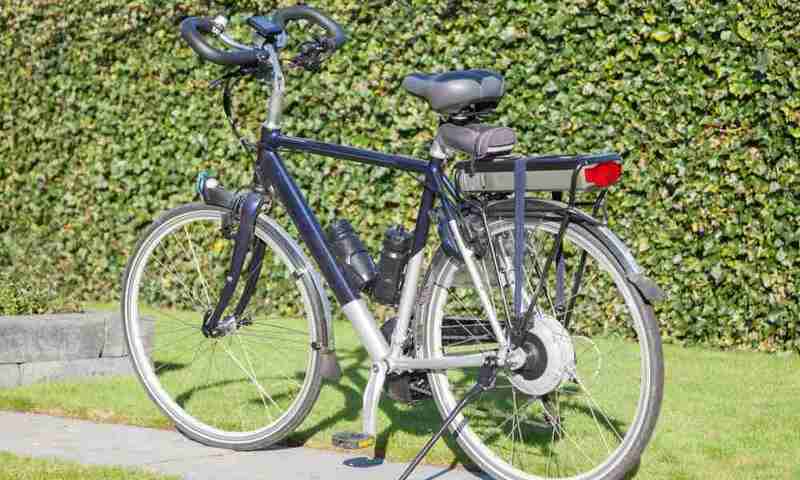 The general definition and features of an electric bike are the following: It is an everyday non-electric bike that contains several mechanical and electric inputs like the motor and the battery – these are the unique specifications of an electric bike. With a few innovation and technological inventions, it was rather easy to come up with the solution to many problems regular bikers had – mostly the big pressure on the joints and muscles and being unfriendly for people who suffer from injuries. The electric bikes are equally helpful to the environment, economical and user friendly, however they are a bit heavier and bulkier than the regular bikes. This did not influence negatively on the trend of buying them and using them for everyday and mountain biking. The main argument beneficiary to electric bikes is the fact that they come in very handy for mountain biking whereas the experience can be very exhausting and somewhat painful for novices and people who are not strong or fit enough to go uphill. The usage of e-bikes is here to the rescue because you can rest your feet and muscles during the hard parts without actually taking a break and even though you would spend some of the battery power you would still save some time compared to taking rests halfway on your trip. Another interesting thing about them is that you can charge them making them a long term investment for your riding experience. Lastly they are a bit faster than regular bikes and yet most often they don’t come under other regulation than those for cars making them still very cheap to use as you don’t have to buy gasoline and you don’t have to obtain a license. 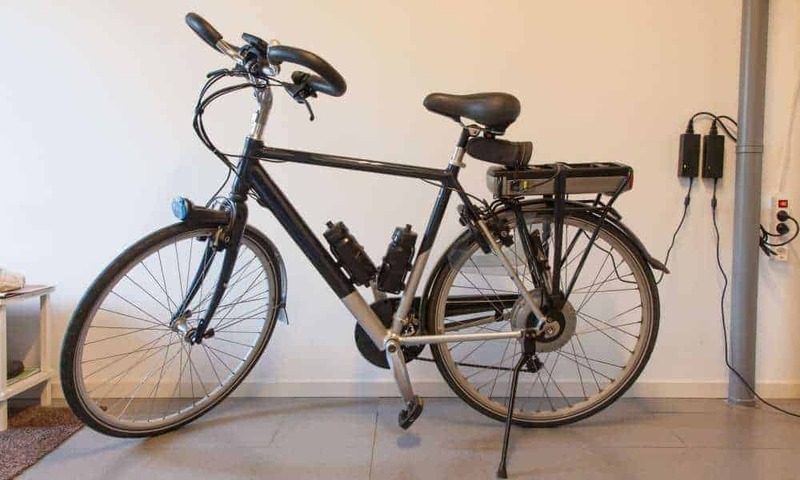 The process of an electric bike working is the following: an e-bike most commonly has a battery that kicks out electric current that turns the generator rotating the tires and making the bike to move without any use of your feet for pedaling. So how exactly do electric bikes work? Differentiating from regular bikes, the battery is what an electric bike cannot work without – except if you use it like a regular bike and pedal. Just like any other device powered by batteries – the electric bikes go solely on the power provided through the batteries that can range from 35 to 50V and 10 Amps. Theoretically, you would use an e-bike that contains a battery that provides as much power as possible, but practically – batteries might weigh a lot and electric bike-riders chose somewhat lighter batteries for the e-bike to ease their transport. Leaving out the batteries used in cars, the e-bikes mostly use Li-Ion batteries which are rather light. These batteries are found in computers and mobile phones and are somewhat more expensive than some other ni-cad batteries. The battery is also the factor that defines the maximum velocity your bike can handle – ranging from 10-20 miles per hour and a distance going of 10-40 miles without charging your battery. The motor is the second-most important of an electric bike and it is powered through the battery. Its main purpose is to drive the wheels and do the work your muscles and joints are doing when you are riding a regular bike. In most electric bikes it is mounted into the hub of the front or rear wheel. Since we are talking about an e-bike the frame of it has to be lighter and it is because it improves the bike speed-wise for the obvious reason the lighter it is the more the battery will last. Electric bikes are exactly like regular bikes, but they are relying on three different components that are operating the work of the e-bike: The above mentioned – Electric motor, the battery and the drive-train. The Motor can be found in three on most electric bikes on the front hub, the rear hub or the mid-drive motor. The drive-train provides the power and torque necessary to manually turn the wheels of the bicycle. Mid-drive motors send power directly to the drivetrain making chain cranking easier. Most drive-trains allow the rider to shift gears making it easier or harder to pedal. Charging your battery is as simple as plugging it into any wall outlet. High quality batteries take between 2-4 hours to fully charge and have a life span of about 700-1000 charges. Cheaper batteries however take 6-8 hours and last between 300-700 charges. Electric bikes nowadays are still making their way to the top of the transportation popularity hill. 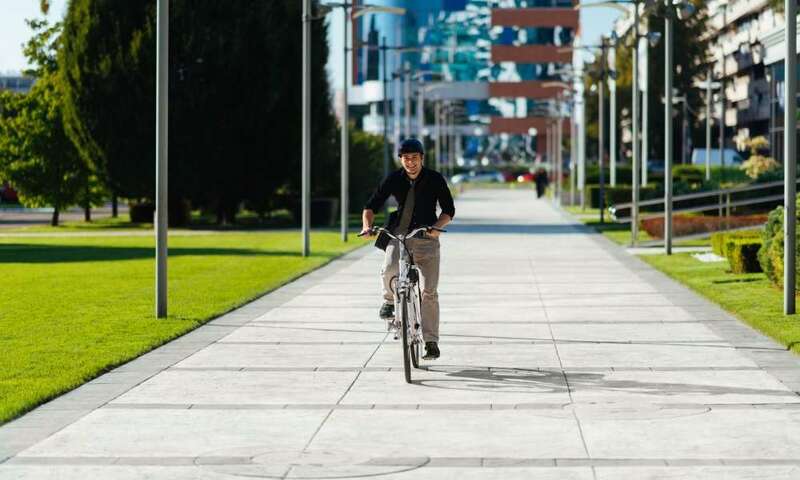 Being eco-friendly and most importantly a great asset in the activities of an everyday bike-rider, they are one of the greatest inventions in the cycling area.